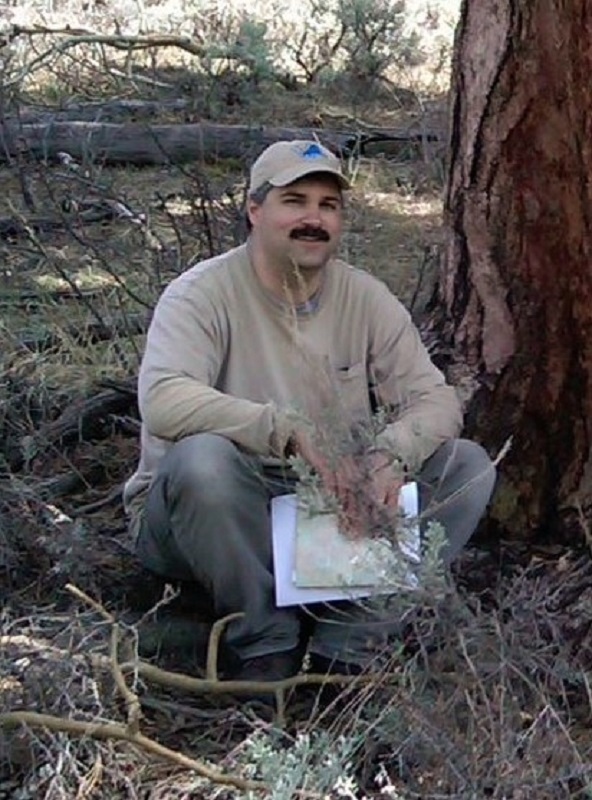 My research focuses on the ecology of terrestrial ecosystems and the influence of disturbances in shaping the distribution and spatial heterogeneity of plant communities and ecosystems. Much of my work attempts to understand how the combination of site factors, biotic interactions, natural disturbances, and humans affect landscape patterns and ecosystems processes in forests. Nearly all of my work is field-based, supplemented by GIS, remote sensing, and simulation modeling. US Fish and Wildlife Service: Ecological inventory and classification of the Shiawassee Natural Wildlife Refuge. 2017-2019. Sole PI. Joint Fire Sciences Program: Assessing 30 years of change in vegetation and fuels following wildfire in jack pine forests of northern Lower Michigan. 2015-2018. Sole PI. USDA Agriculture and Food Research Initiative: A silvicultural system for conserving biodiversity and enhancing ecosystem services in xeric jack pine forests of the Lake States Region. 20105-2018. Co-PI. US Department of Agriculture: Forecasting carbon storage of eastern forests: Can American chestnut restoration improve carbon storage potential in an uncertain future? 2011-2013. Co-PI. USDA Forest Service: Evaluating the impacts of emerald ash borer and biological ciontrol on ash mortality, health, and recovery in southeastern Michigan. 2012-2017. Co-PI. Joint Fire Sciences Program: Integrating fuels reductions, barrens restoration, and plantation structural enhancement in endangered Kirtland's warbler habitat management. 2010-2013. Co-PI. US Fish and Wildlife Service: A multi-scaled geographic assessment of upland sandpiper occupancy and habitat use. 2010-2013. Co-PI. USDA Forest Service: Drought-related mortality and growth decline in aspen forests. 2009-2014. Co-PI. Wayne State University Presidential Teaching Award, 2015. WSU College of Liberal Arts and Sciences Career Chair Development Award, 2014. WSU College of Liberal Arts and Sciences Teaching Award, 2010. Gustafson, E.J., B.R. Sturtevant, A.M.G. de Bruijn, N. Lichti, D.F. Jacobs, D.M. Kashian, B.R. Miranda, and P.A. Townsend.2018 . Forecasting effects of tree species reintroduction strategies on carbon stocks in a future without historical analog. Global Change Biology. https://doi.org/10.1111/gcb.14397. Spei, B.A., and D.M. Kashian*. 2018. Age and structure of a Picea mariana stand at the southernmost extent of its range in southern Michigan. Great Lakes Botanist 57: 2-14. Tucker, M.M., and D.M. Kashian*. 2018. Pre-fire forest remnants affect post-fire plant community structure and composition. Forest Ecology and Management 408: 103-111. Kashian, D.M. *, J.R. Sosin, P.W. Huber, M.M. Tucker, and J. Dombrowski. 2017. A neutral modeling approach for designing spatially heterogeneous jack pine plantations in northern Lower Michigan, USA. Landscape Ecology 32: 1117-1131. Spei, B.A., and D.M. Kashian*. 2017. Potential for persistence of blue ash in the presence of emerald ash borer in southeastern Michigan. Forest Ecology and Management 392: 137-143. Costanza, K.K.L., W.H. Livingston, D.M. Kashian, R.A. Slesak, J.C. Tardiff, J.P. Drech, A.K. Diamond, J.J. Daigle, D.J. Ranco, N.W. Siegert, J. Neptune, L. Benedict, S. Fraver, and M. Reinikainen. 2017. The precarious state of a cultural keystone species: Biological and tribal assessments of the role and future of black ash. Journal of Forestry 115: 435-446. Tucker, M.M., R.G. Corace III, D.T. Cleland, and D.M. Kashian*. 2016. Long term effects of managing for an endangered songbird on the heterogeneity of a fire-prone landscape. Landscape Ecology 31: 2445-2458. Kashian, D.M. * 2016. Sprouting and seed production may promote persistence of green ash in the presence of the emerald ash borer. Ecosphere 7: e01332. Binkley, D., and D.M. Kashian. 2015. Tree-level patterns of lodgepole pine growth and leaf area in Yellowstone National Park: explaining anomalous patterns of growth dominance within stands. Ecosystems 18: 251-259.
de Bruijn, A., E.J. Gutafson, D.M. Kashian, H.J. Dalgleish, B.R. Sturtevant, and D.F. Jacobs. 2014. Decomposition rates of American chestnut (Castanea dentata) wood and implications for coarse woody debris pools. Canadian Journal of Forest Research 44: 1575-85. Kashian, D.M. *, W.H. Romme, D.B. Tinker, M.G. Turner, and M.G. Ryan. 2013. Post-fire changes in forest carbon storage over a 300-year chronosequence of Pinus contorta-dominated forests. Ecological Monographs 83: 49-66. Kashian, D.M. *, R.G. Corace, L.M. Shartell, D. Donner, and P. Huber. 2012. Variability and persistence of post-fire biological legacies in jack pine-dominated forests of northern Lower Michigan. Forest Ecology and Management 263: 148–158. Kashian, D.M. *, R.M. Jackson, and H.D. Lyons. 2011. Forest structure altered by mountain pine beetle outbreaks affects subsequent attack in a Wyoming lodgepole pine forest, USA. Canadian Journal of Forest Research 41: 2403-2412. Kashian, D.M. *, and J.A. Witter. 2011. Assessing the potential for ash canopy tree replacement via current regeneration following emerald ash borer-caused mortality on southeastern Michigan landscapes. Forest Ecology and Management 261: 480-488. I will teach Landscape Ecology (Bio 5540/7540) in Winter Term 2020. Bio 5540/7540: Ecosystem and Landscape Ecology. 3 cr. Bio 5440/7440: Terrestrial Ecology. 4 cr. Bio 5180/7180: Biology of Trees and Shrubs. 4 cr. Bio 1500: Basic Life Diversity. 4 cr.